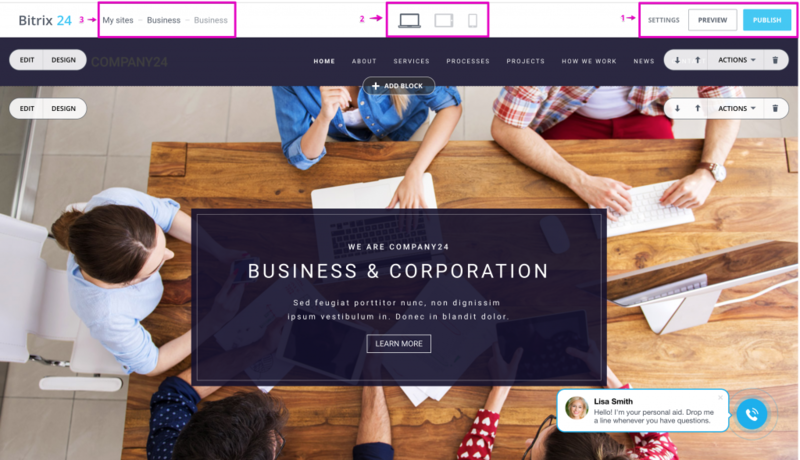 Meet our Bitrix24.Sites Builder! You can create your own site in a few clicks! 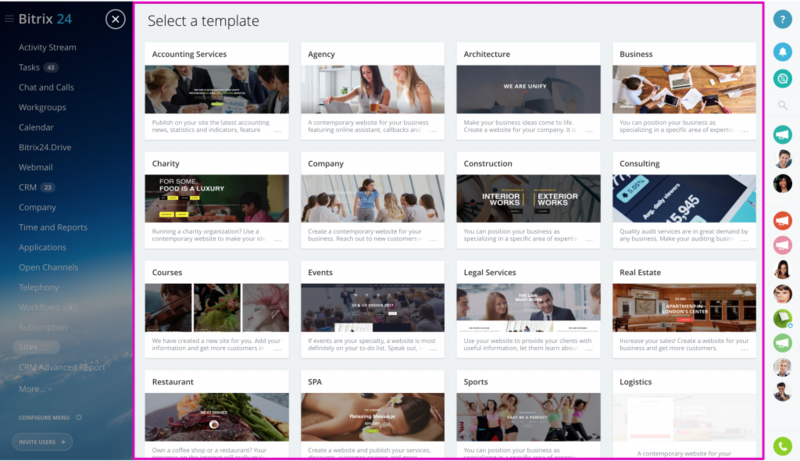 For that, you need to select one of the available sites templates, customize it as for your needs & publish! 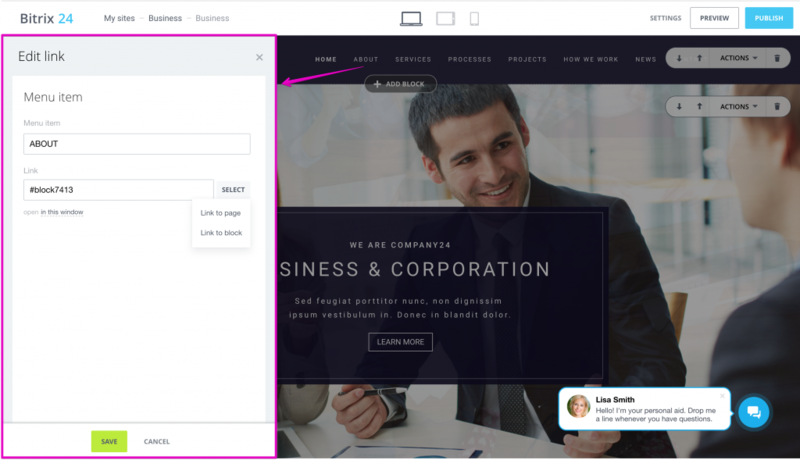 Bitrix24.Sites support Bitrix24 Open Channels, CRM web forms & callback request form, which means you can automatically add your site visitors to your Bitrix24 CRM! 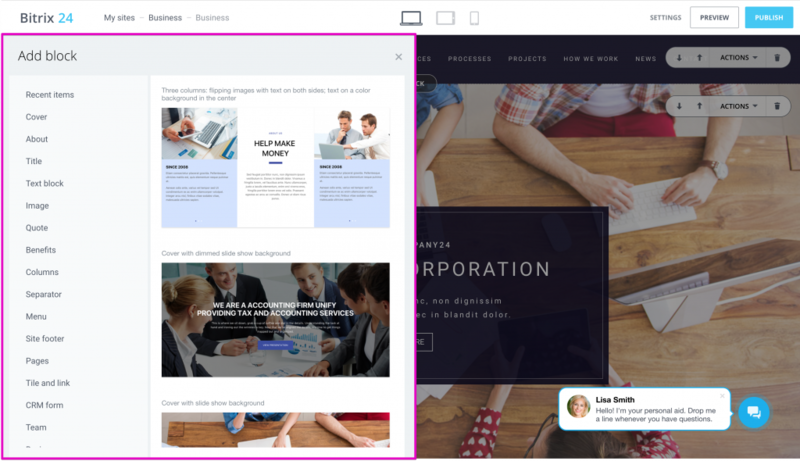 Bitrix24.Sites tool allows you to create landing pages or complex sites. 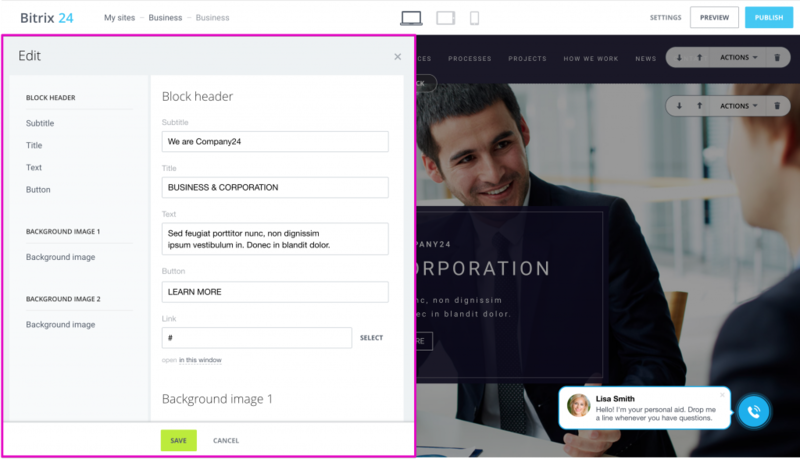 The Sites Builder is a simple intuitive tool any Bitrix24 user can understand. You can create the unlimited number of sites on any Bitrix24 plan, but you can only publish the number of sites that your Bitrix24 plan allows to. Learn more on Bitrix24 Plans and Pricing page. 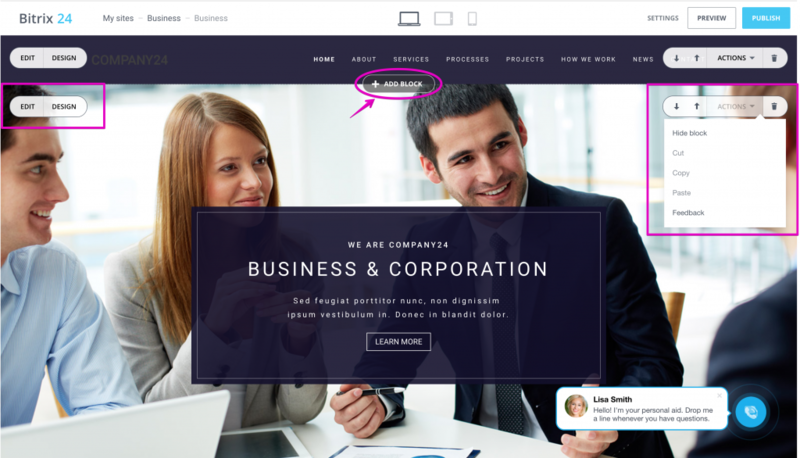 Bitrix24.Sites provides services that you can use to create websites and landing pages for your business, your customers or for personal use. It is imperative that any website or landing page abides by the law of the country in which it is created. We reserve the right to close your website without notice if any violation is detected (as a result of an internal investigation, user complaint or notice from any third party). The rules are simple. You must own or have permission for the content you publish on your website or landing page, and follow all applicable laws. You follow intellectual property, advertising and marketing and other relevant laws of your country (hereinafter referred to as Applicable Law) during the period of use of the Bitrix24.Sites services. Information, documentation and other items (hereinafter referred to as Content) published on your website created using the Bitrix24.Sites services do not violate the intellectual rights and trademarks of third parties; do not disclose business confidential information; do not damage reputation of third parties; do not violate the Applicable Law. You will receive professional advice from a lawyer's firm if you have any doubt as to the use of any Content on your website, prior to publishing. Any Content you publish or intend to publish using the Bitrix24.Sites services was obtained in compliance with the Applicable Law. You understand that you use the Bitrix24.Sites services at your own risk. You agree and acknowledge that Bitrix Inc. does not create websites or web pages itself; does not modify in any way your Content you publish using the Bitrix24.Sites services; does not encourage users to publish their Content; does not and should not have any knowledge of possible infringement of the Applicable Law. Bitrix Inc. reserves the right to close your websites and/or access to the Bitrix24.Sites services should you violate the aforementioned statements. For complete Bitrix24 terms of service, please refer to Terms of Service. Site Settings: opens main site settings such as: page address, rich formatting for media links, page meta tags, page background, layout type, amalytics, search engines, custom HTML & CSS. 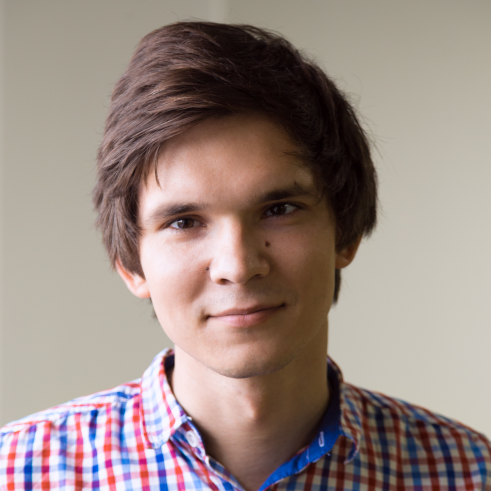 Publish: publish your website to make it available in the internet. This section allows you to switch between site desktop, tablet & mobile phone views to check how the website will be optimized for each device type. 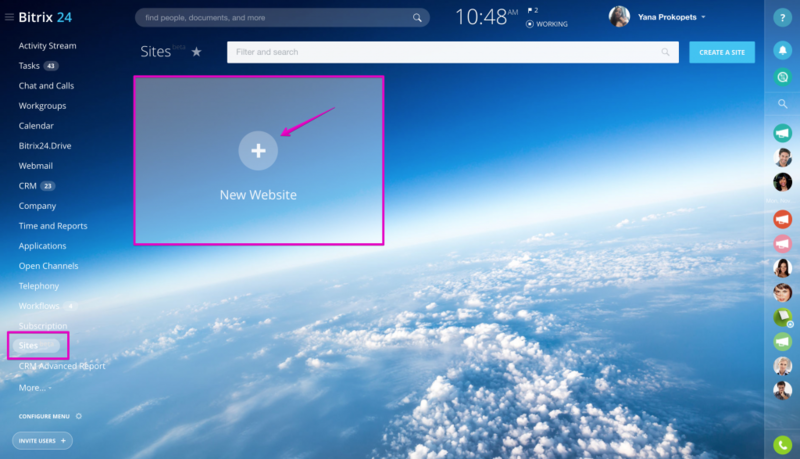 The navigation menu shows where you're currently located & which site page you're working on. 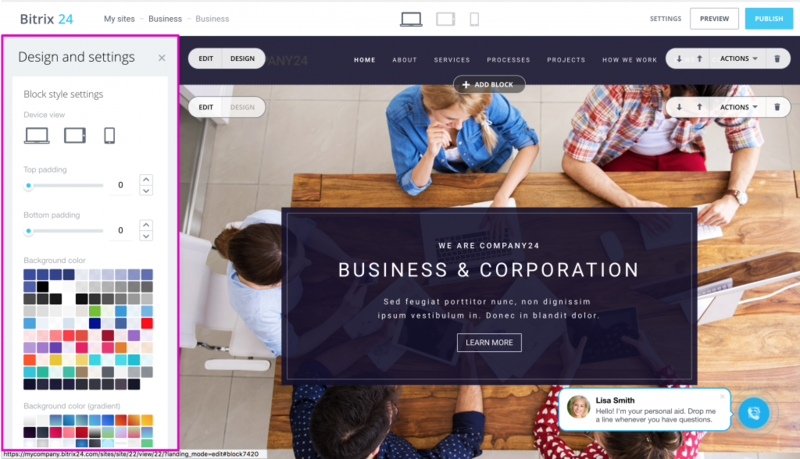 For example, My Sites > Business > Business says that you're inside Bitrix24.Site Builder tool (My Sites), working on Business Site Template, inside default Business page for this website type. To go back to Bitrix24 Sites Builder click on My Sites. Each site page consists of the site blocks. Different site blocks contain different information: e.g. prices block, clients block, about us block, contact information block, etc. You can delete, edit settings or customize design of the default blocks, move them up & down on the site page or add new blocks. Please note that each site block has it's own Edit, Design & Actions tabs. Actions: actions menu allows to hide, cut, copy or paste block. Up & Down Arrows: use these arrows to move block up or down the site page. Trash: click on trash to delete page block you don't need. Edit Block: this tab opens main block content settings such as - block header, title, text, button, link, background image, etc. (options set depends on the block type). Site Block Design: opens block style settings - device view settings, top & bottom padding, background color. Please note that you can apply background color to blocks where there is no image set as background (otherwise you need to remove background image first under Edit tab). Use Add Block option to add more blocks to the site page. The Add Block menu allows to select column type, add benefits, separators, menu, footer, cover, about , title, prices, partners, etc. To link top level site menu items to pages or blocks click on the menu item & select page or block in the Link option. Remember that you're not limited by one site page, create multi-pages sites. Website Settings will appear - go to Website Widget line to select one of the configured widgets. Please remember you need to configure CRM widget separately form CRM Widget. Please note that you can connect your domain to Bitrix24 sites, here is how.